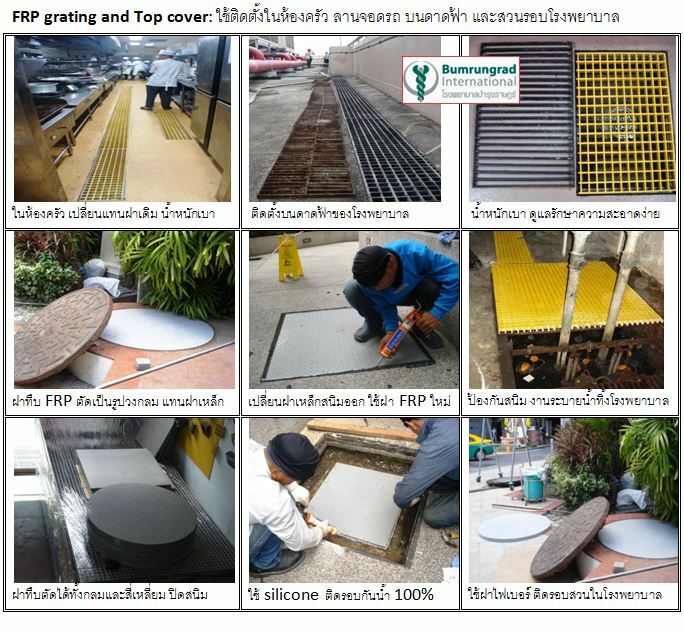 โรงงานผู้ผลิตจำหน่าย GFRP Glass Fibre Polymer Mould Drainage Gully Gutter Grating รับประกันคุณภาพสินค้า 10 ปี มีฐานลูกค้าในประเทศ ที่ใช้งานแล้วมากกว่า 100 บริษัทชั้นนำรับรอง สินค้านำเข้าจากเดนมาร์ก วัสดุ เกรดเอ Food-Grade Vinyl Resin เป็นบริษัทผู้ผลิตและนำเข้าที่ตรวจสอบได้ มีผลประกอบการกว่า 10 ปี มีสีให้เลือก มีสต๊อคพร้อมส่งและบริการได้ทันทีกว่า 3,000 ตรม. 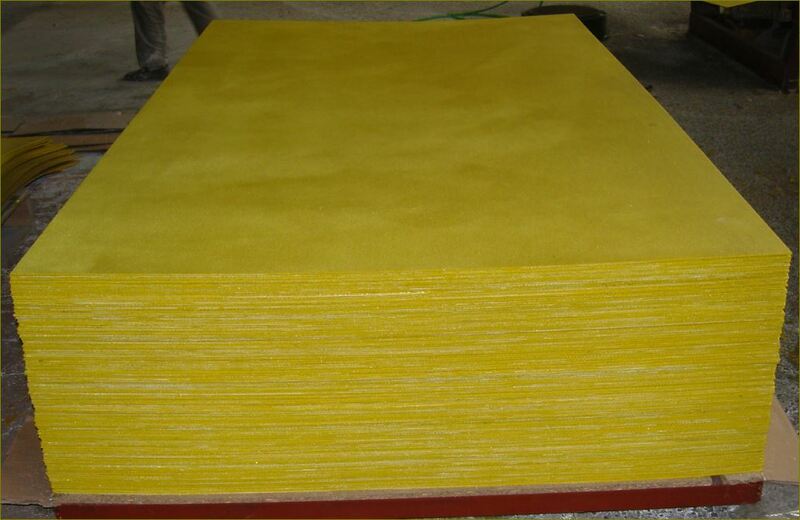 Why Choose fiberglass(FRP) instead of steel ? 1. FRP is 70% lighter than steel with an exceptional strength-to-weight ratio. 2. FRP is corrosion resistant and requires less maintenance than traditional metal, wood and concrete products. 3. FRP is non-conductive and slip resistant, providing a safer alternative to steel and concrete. 4. We manufacture and fabricate FRP in a range of colors and shapes, giving architects options for creating compelling structures. Need a Corrosion Resistant Solution with Low Maintenance? 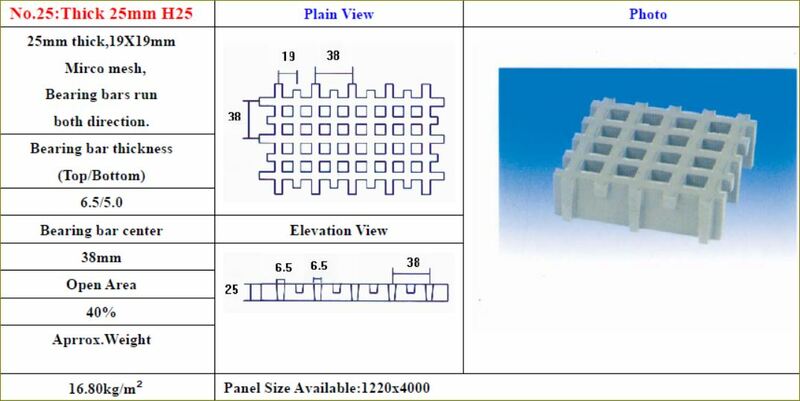 FRP GRATING MESH 38X38mm. 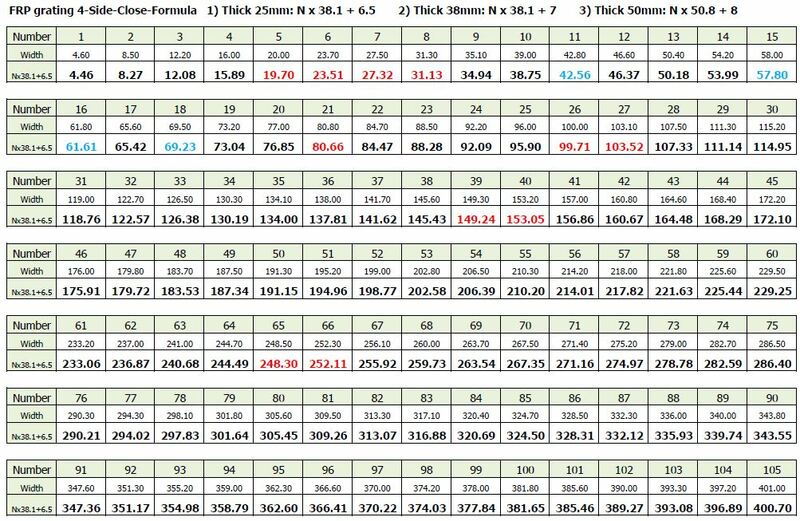 Thick 25mm./38mm. 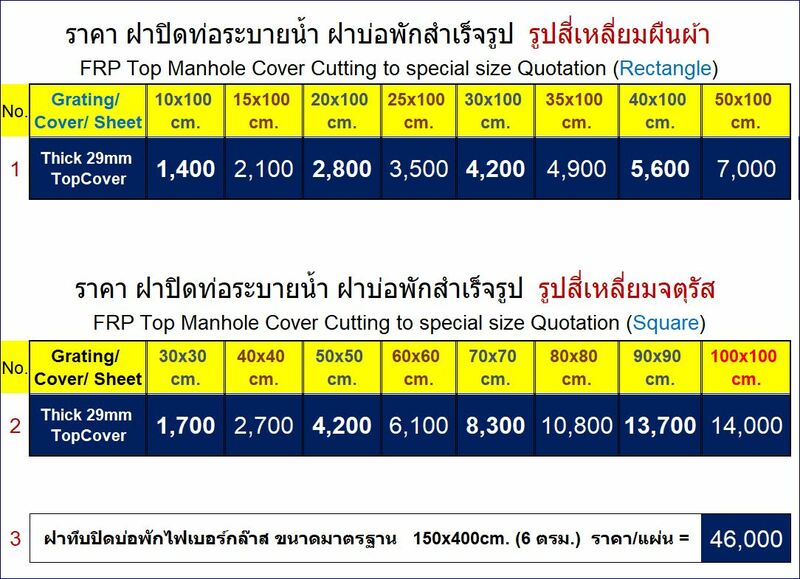 Standard size 1.5x4 M.
ตะแกรงไฟเบอร์ ช่องรูตะแกรงขนาด 38x38 มม. หนา 25/38 มม. ขนาด 1.5x4 ม. ตะแกรงไฟเบอร์กล๊าส fiberglass reinforced plastic (FRP) products are known for their ability to provide corrosion resistance in the harshest environments and chemical exposures. Unlike metal and wood, FRP products will not rust or corrode and will continue to maintain structural integrity over time. 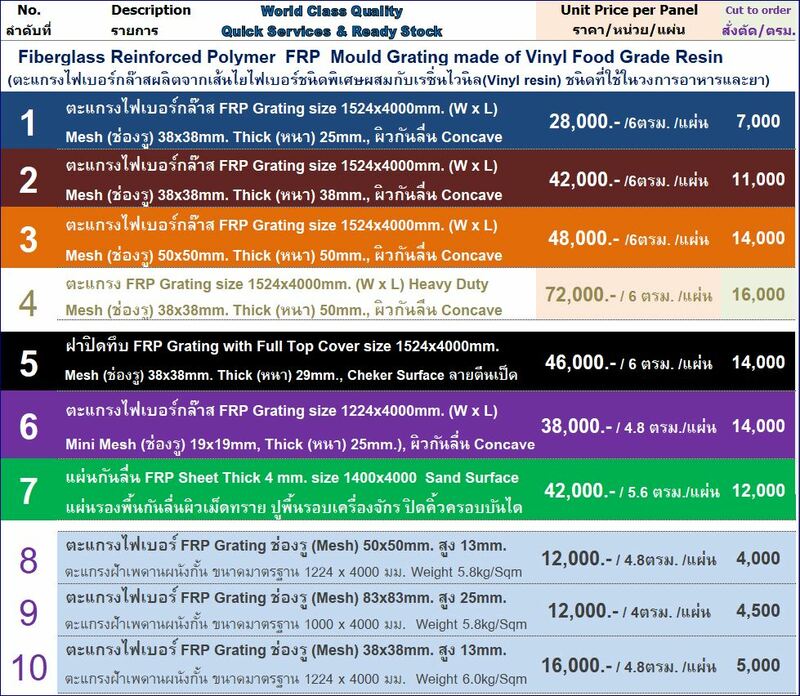 ตะแกรงไฟเบอร์กล๊าส offers the widest selection of resin formulations for products, each specifically developed to solve specific environmental and performance requirements. Check out ตะแกรงไฟเบอร์กล๊าส’s Chemical Resistance Guide to help you choose the best ตะแกรงไฟเบอร์กล๊าส resin for your application's environment. 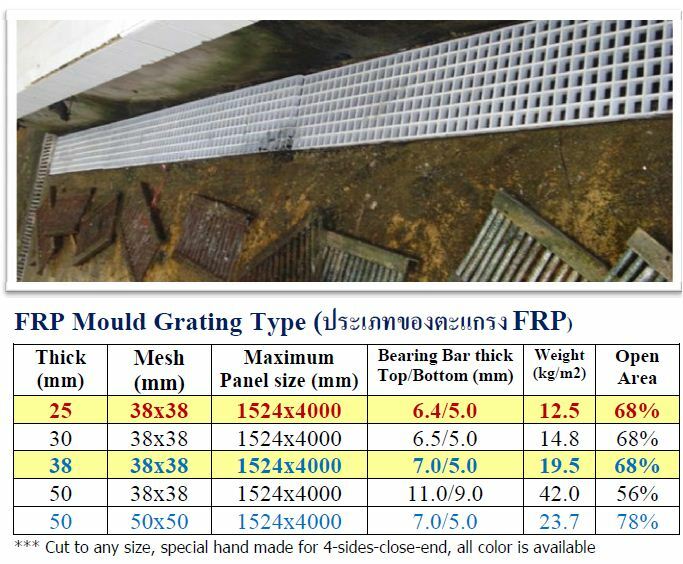 The durability and corrosion resistance of ตะแกรงไฟเบอร์กล๊าส FRP molded and pultruded gratings and other products reduce or eliminate the need for heavy maintenance like sandblasting, scraping and painting. In fact, most ตะแกรงไฟเบอร์กล๊าส products are easily cleaned with a high-pressure washer. 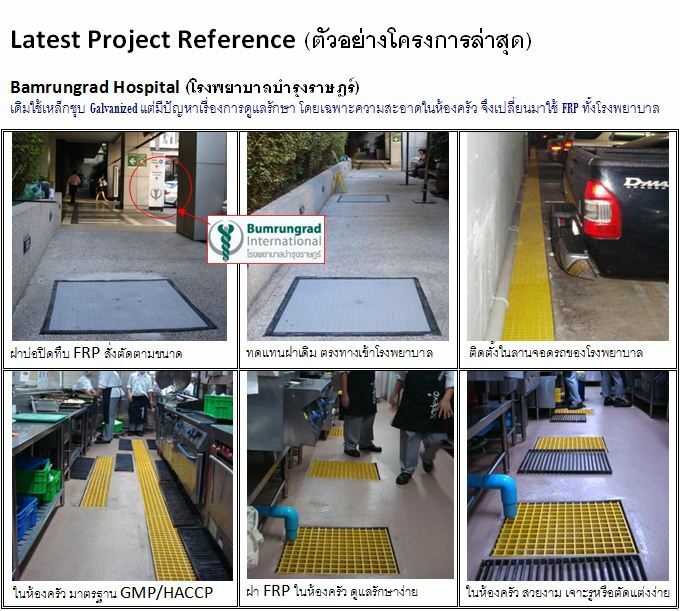 ตะแกรงไฟเบอร์กล๊าส’s molded and pultruded gratings and stairway products provide superior, slip resistant footing in wet and oily environments. 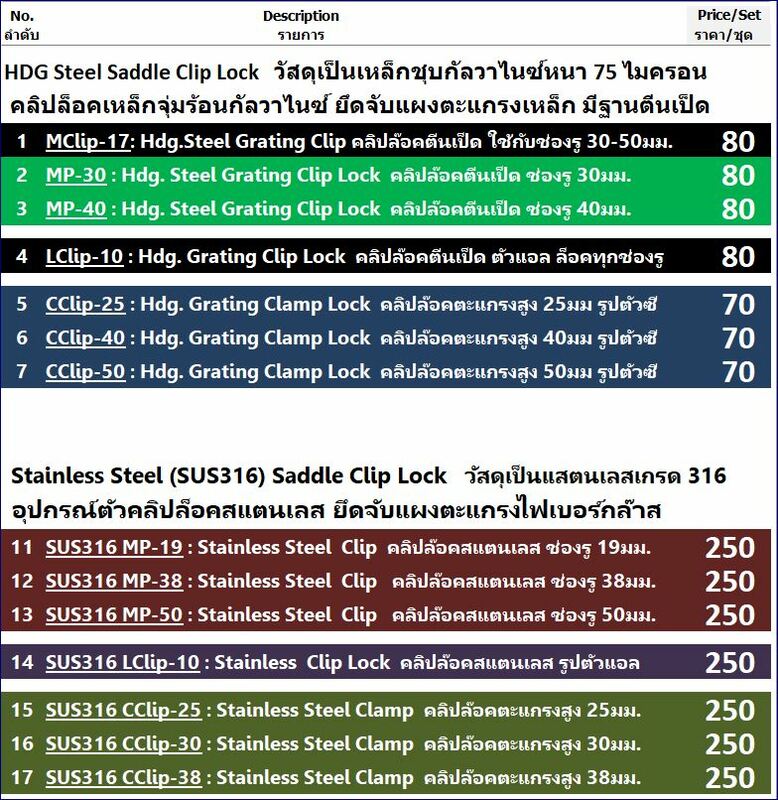 Steel becomes slippery when oily or wet, but ตะแกรงไฟเบอร์กล๊าส gratings have a higher friction factor and remain safe even when wet. ตะแกรงไฟเบอร์กล๊าส’s slip resistant products increase safety for workers which will lead to fewer workplace accidents and a reduction of injury-associated costs. ตะแกรงไฟเบอร์กล๊าส products provide outstanding durability and corrosion resistance in demanding applications, providing improved product life over traditional materials. 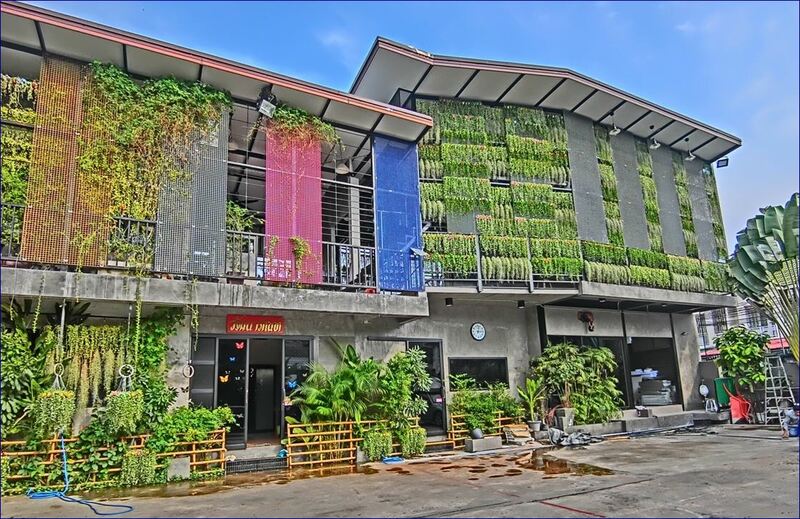 The longevity of ตะแกรงไฟเบอร์กล๊าส products provide cost savings over the product’s life cycle. Installed costs are less because of the ease of installation. Maintenance expenses reduce because there is less downtime in areas requiring maintenance, and the costs of removing, disposing, and replacing the corroded steel grating is eliminated. Steel installation can be time consuming and equipment intensive. ตะแกรงไฟเบอร์กล๊าส products can be easily and quickly cut with ordinary hand tools. Welding or hot work is not necessary with FRP. 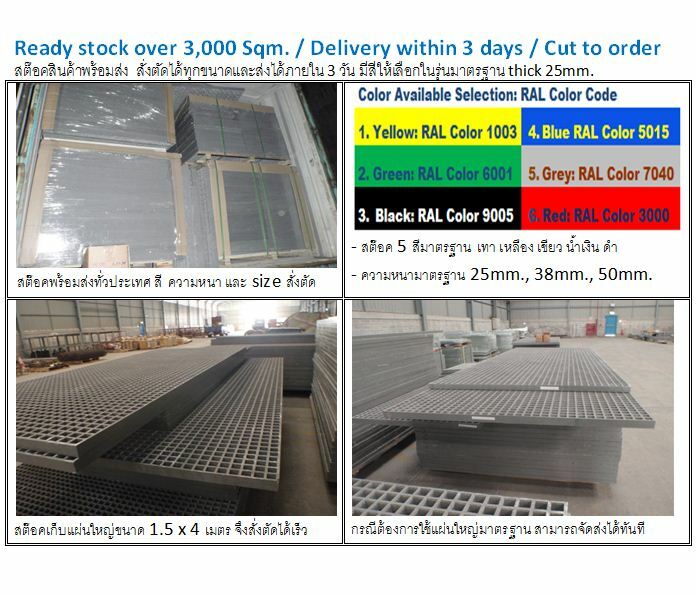 ตะแกรงไฟเบอร์กล๊าส fiberglass gratings are lightweight and can be installed easily with bolts and clips. Installation of FRP material can be done without using heavy equipment and machinery, requiring less manpower. 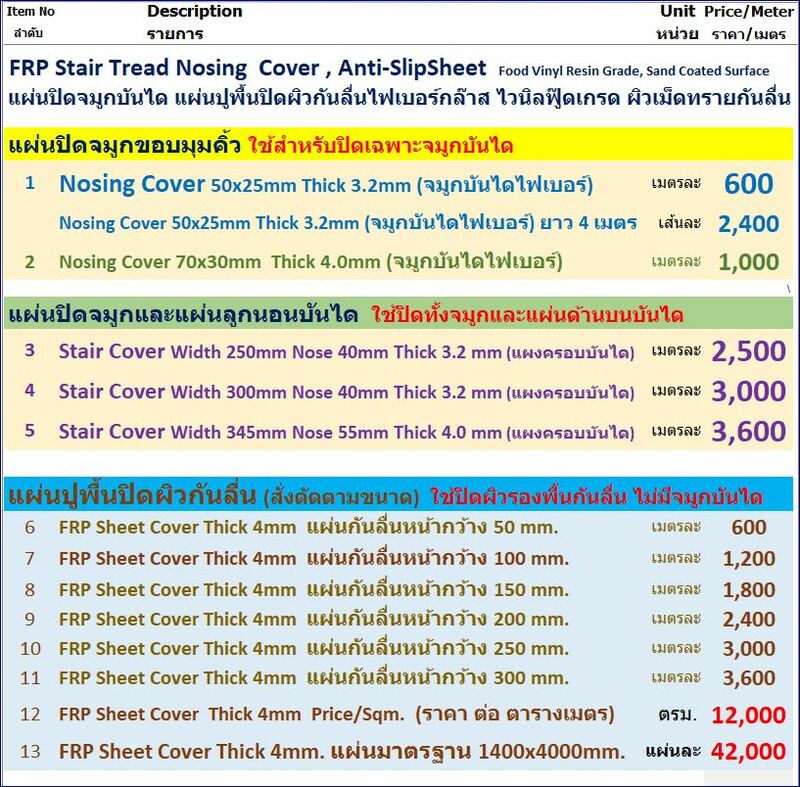 ตะแกรงไฟเบอร์กล๊าส FRP has a high strength-to-weight ratio when compared to traditional materials like metal, concrete and wood. FRP gratings can be designed to be strong enough to carry vehicular loads while still being less than one-half the weight of steel grating. 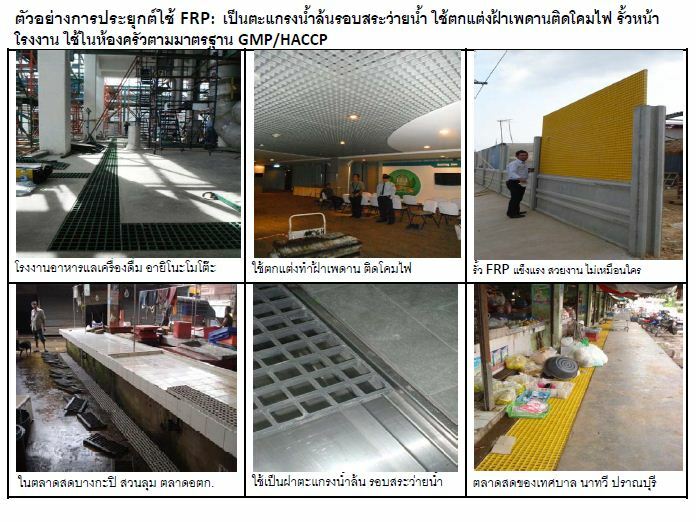 ตะแกรงไฟเบอร์กล๊าส FRP can withstand major impacts with negligible damage. 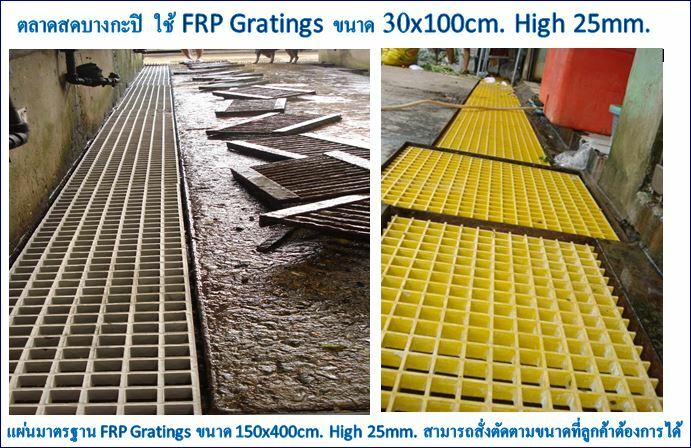 ตะแกรงไฟเบอร์กล๊าส offers extremely durable gratings to satisfy even the most stringent impact requirements. Check out this drop test video to see just how durable ตะแกรงไฟเบอร์กล๊าส molded gratings are! 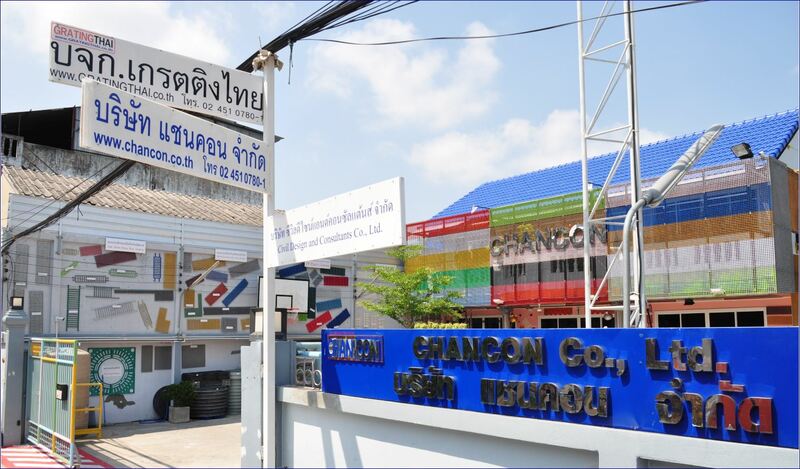 The lightweight properties of ตะแกรงไฟเบอร์กล๊าส FRP result in products that weigh considerably less than steel. The density of steel is four times higher than that of FRP, and steel gratings are two to two-and-a-half times heavier than FRP gratings. FRP’s lighter weight allows easy removal for access below floor level. The reduction in weight that ตะแกรงไฟเบอร์กล๊าส products provide can save on material transit costs and installation costs. 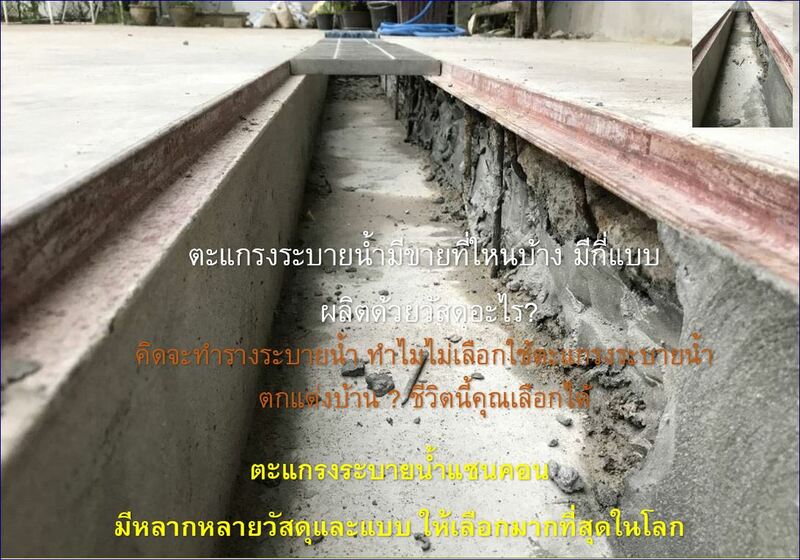 ตะแกรงไฟเบอร์กล๊าส FRP is electrically non-conductive leading to increased safety compared to conductive materials (i.e., metal). FRP also has low thermal conductivity (heat transfer occurs at a lower rate), resulting in a more comfortable product surface when physical contact occurs. 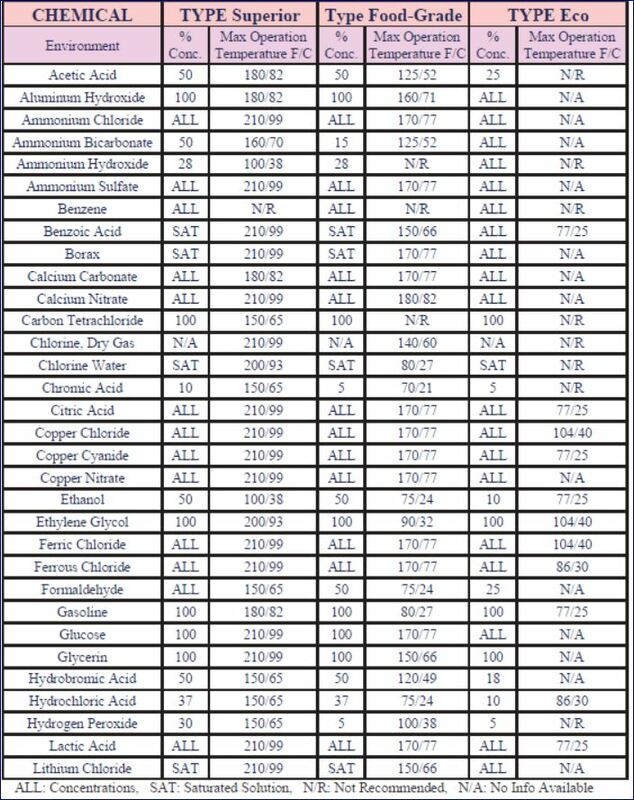 Most ตะแกรงไฟเบอร์กล๊าส products are engineered to have a flame spread of 25 or less as tested in accordance with ASTM E-84. They also meet the self-extinguishing requirements of ASTM D-635. 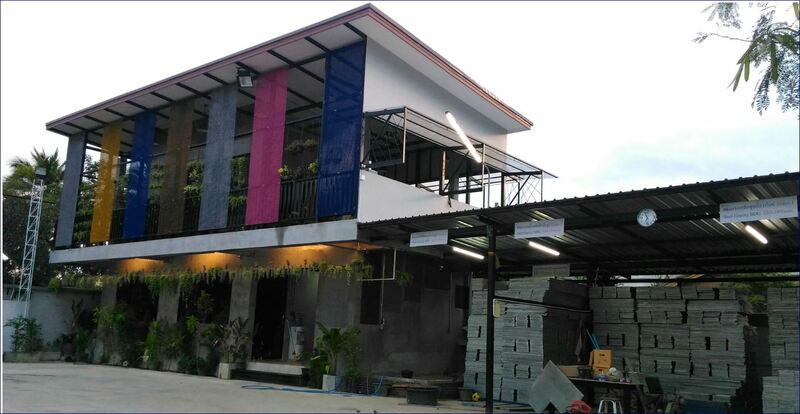 The properties of ตะแกรงไฟเบอร์กล๊าส's FRP materials create flexible products that can sometimes “cushion” worker movement, easing strain on workers’ muscles and creating a more comfortable working surface. The ergonomic features of ตะแกรงไฟเบอร์กล๊าส products, such as the Safe-T-Stand? work platform, can help to reduce worker fatigue and increase productivity. Read more about industrial ergonomics here. 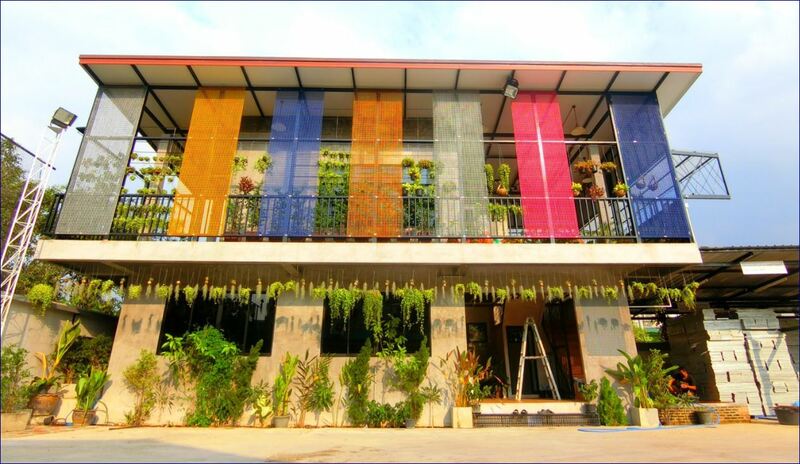 ตะแกรงไฟเบอร์กล๊าส’s fiberglass gratings and profiles are formulated for maximum UV resistance. A special coating is also available for increased UV resistance on ตะแกรงไฟเบอร์กล๊าส’s Dynarail? 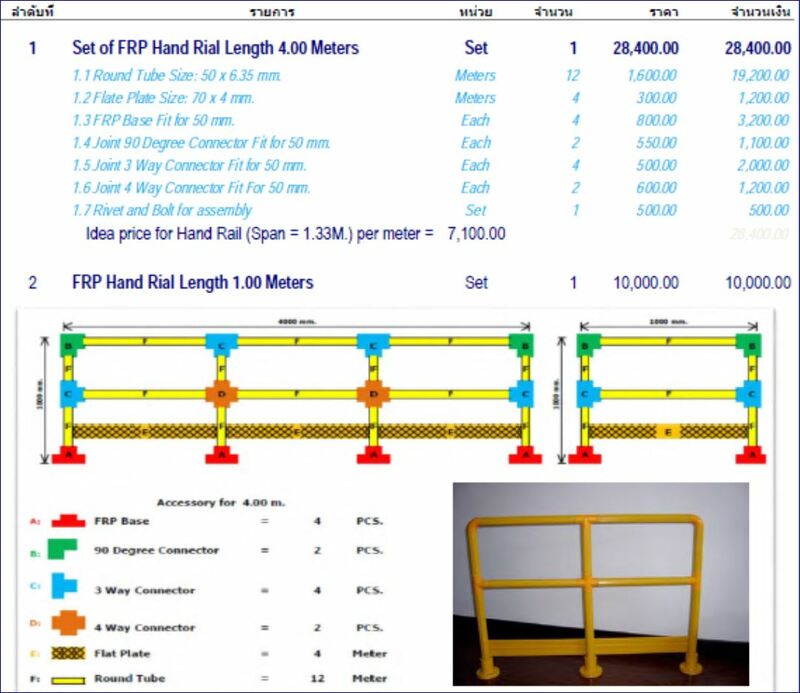 railing and ladder systems. 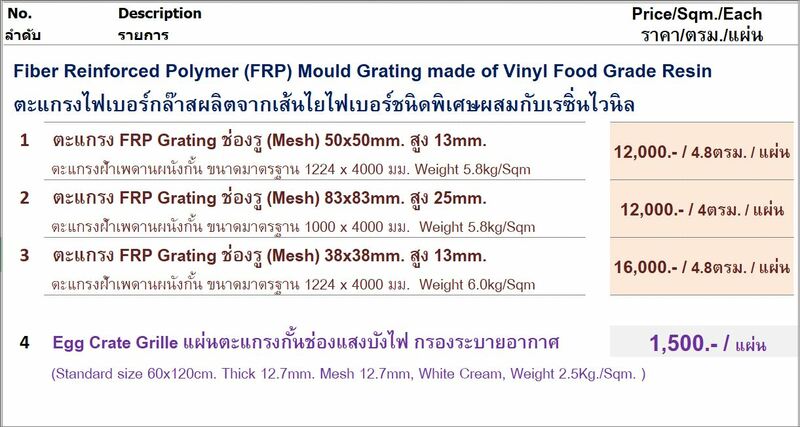 Click here to learn more about UV performance of ตะแกรงไฟเบอร์กล๊าส molded gratings. This type improved food-grade Isophthalic mixed with vinyl polyester resin system offers antimicrobial properties to inhibit the growth of mold on the surface of the composite to protect itself along with the necessary corrosion resistance. Industrial grade corrosion resistance and fire retardant, flame spread rating. 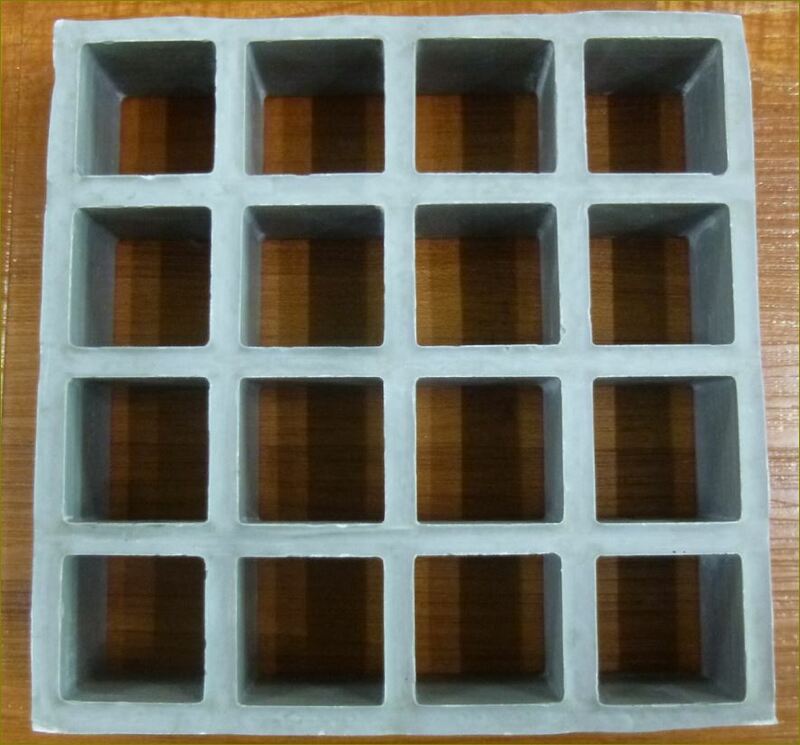 Such gratings can be used in the special environments of middle concentration inorganic acid, inorganic alkali, etc. The operation temperature can be -50 to 90 Celsius with normal working load. A Superior vinyl ester resin corrosion resistance and fire retardant, flame spread rating. It offers outstanding resistance to a wide range of highly corrosive situations, ranging from caustic to acidic. Such gratings can be used in the special environments of corrosion with either acid or alkali or both. The operation temperature can be -50 to 110 Celsius with normal working load. ระยะความกว้างของบ่ารับแผ่นเกรตติ้ง จะต้องบวกเพิ่มข้างละ 3-5mm. รวม 2 ข้างเป็น 6-10mm. Ex-1 กรณีใช้ตะแกรง กว้าง 25cm. จะต้องเตรียมบ่ารับเผื่อไว้ = 25.5-26.0 cm. Ex-2 กรณีใช้ตะแกรง กว้าง 30cm. จะต้องเตรียมบ่ารับเผื่อไว้ = 30.5-31.0 cm. ส่วนความกว้างของบ่ารับเมื่อวัดแล้วจะต้องเว้นเผื่อความกว้างของตะแกรงจริงๆ ไว้ 5-10mm. 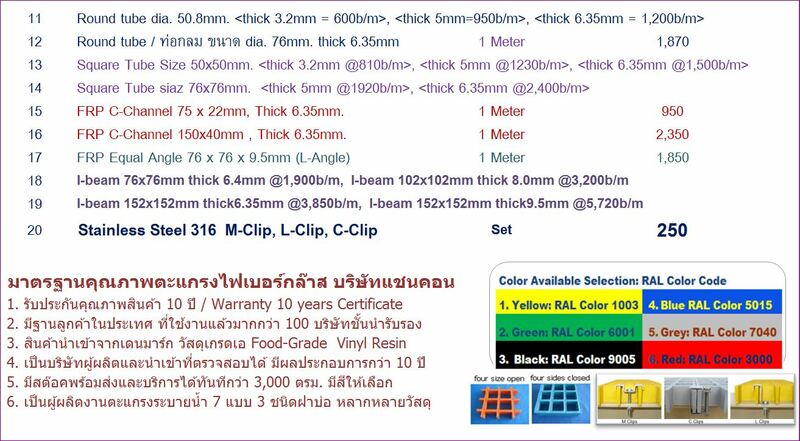 ดังนี้ ระยะความกว้างของบ่ารับแผ่นตะแกรงเกรตติ้ง จะต้องบวกเพิ่มข้างละ 3-5mm. รวม 2 ข้างเป็น 6-10mm. Installation recommendation-whenever possible provided for a minimum of 1.5” (40mm) bearing support at all grating support points. 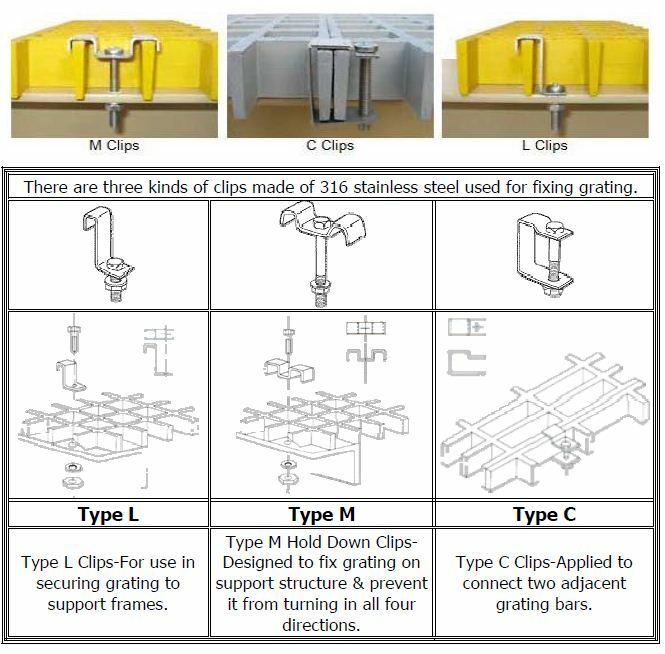 Hold down clips should be used at the rate of one clip for every 6 square feet (0.56square meters) of grating minimum, or at least 4 clips for any square or rectangular piece, or at least 3 for a triangular piece. Our molded fiberglass grating and pultruded fiberglass grating provide unmatched corrosion resistance properties, especially when compared to steel flooring products. 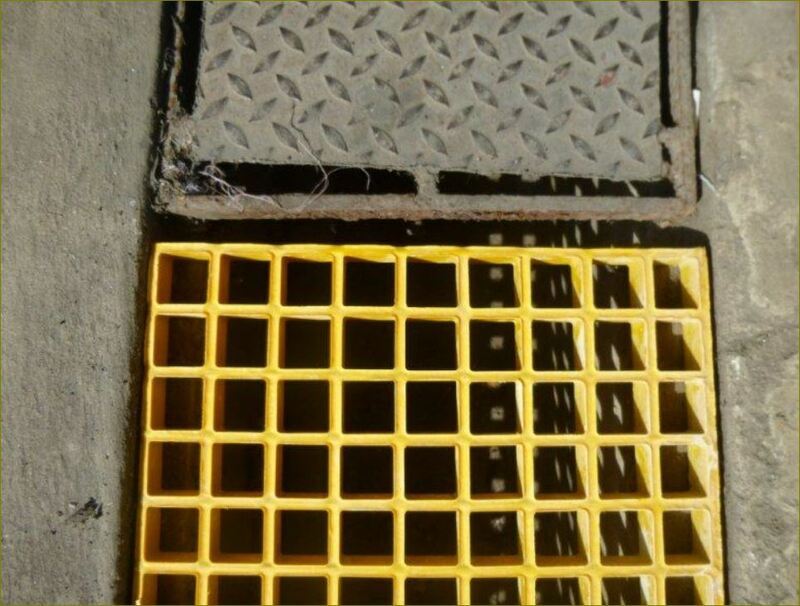 Strength, long life and safety are also superior qualities of our fiberglass grating products, and their electrically non-conductive properties make them the ideal option for floor grating. 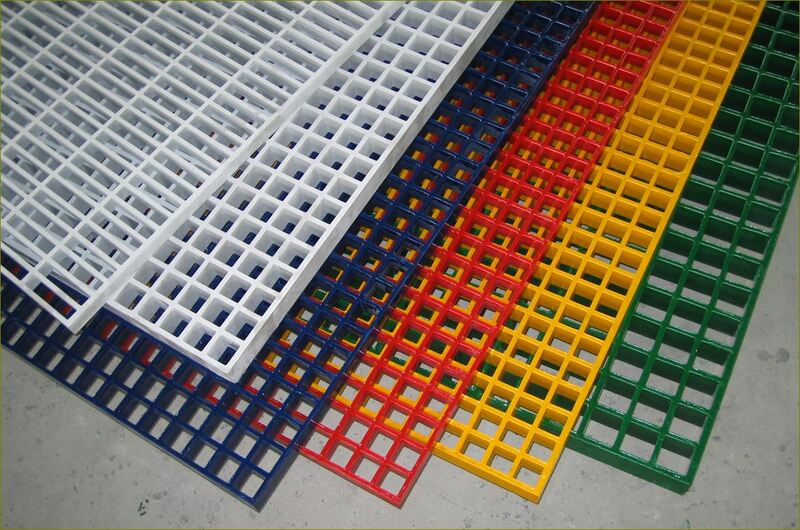 We offer many types of fiberglass grating for all your different loading applications. Fiberglass grating applications range from architectural sun screening and fiberglass flooring to standard walkways and high load rolling applications. 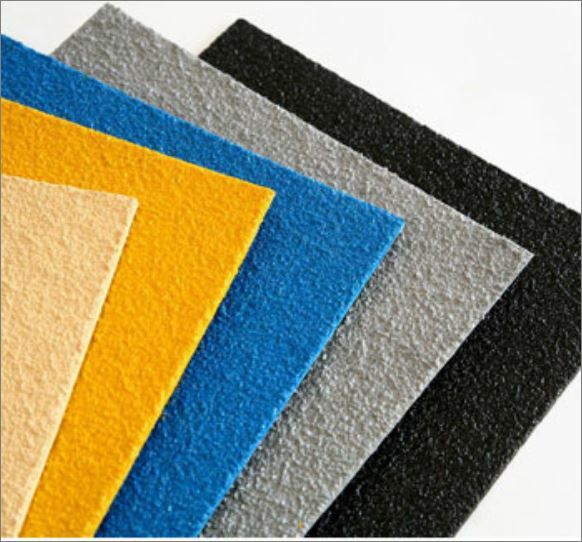 Grit surfaces and standard stock colors or custom colors are provided to suit your fiberglass application. Choose from our custom resin types for a fiberglass flooring product that is tailored to suit your corrosion resistance needs. Pultruded fiberglass grating is made using premium grade isophthalic polyester, vinyl ester or phenolic resin systems with a synthetic surfacing veil, making it corrosion resistant, lightweight and durable. Pultruded fiberglass has a grit surface for safety and a greater strength to weight ratio than molded fiberglass grating. 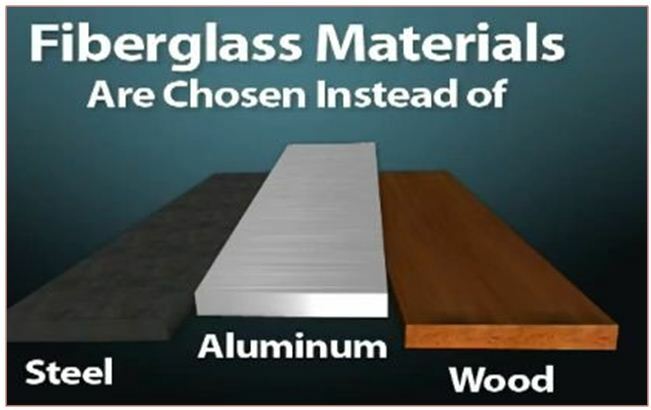 A 35%/65% resin to glass ratio provides greater strength and less corrosion resistance than molded fiberglass grating. This product is better suited for longer spans of fiberglass flooring. Fiberglass Covered Grating Our fiberglass covered grating is a long-lasting, molded fiberglass flooring product that combines smooth, gritted or checker plate and molded grating manufactured with any of our resin systems. It is the ideal choice when floor grating needs to be 100% covered. Our fiberglass covered grating is often used in loading and storage areas with high foot and cart traffic, where a strong, level surface is ideal. It offers approximately 50% higher stiffness values than that of open mesh grating and its standard grit-top cover assures secure footing. Bullet Resistant Fiberglass Plate Our bullet resistant fiberglass plate offers superior ballistic resistance at a weight less than 25% that of a comparable steel panel. Now available for commercial security fiberglass applications for your business, home or governmental facility, these fiberglass panels offer ballistic resistant security with the additional performance advantages of durability, corrosion resistance, electrical non-conductivity, low thermal conductivity and light weight. Heavy Duty Fiberglass Grating Our heavy duty fiberglass grating is available in both molded and pultruded grating systems. 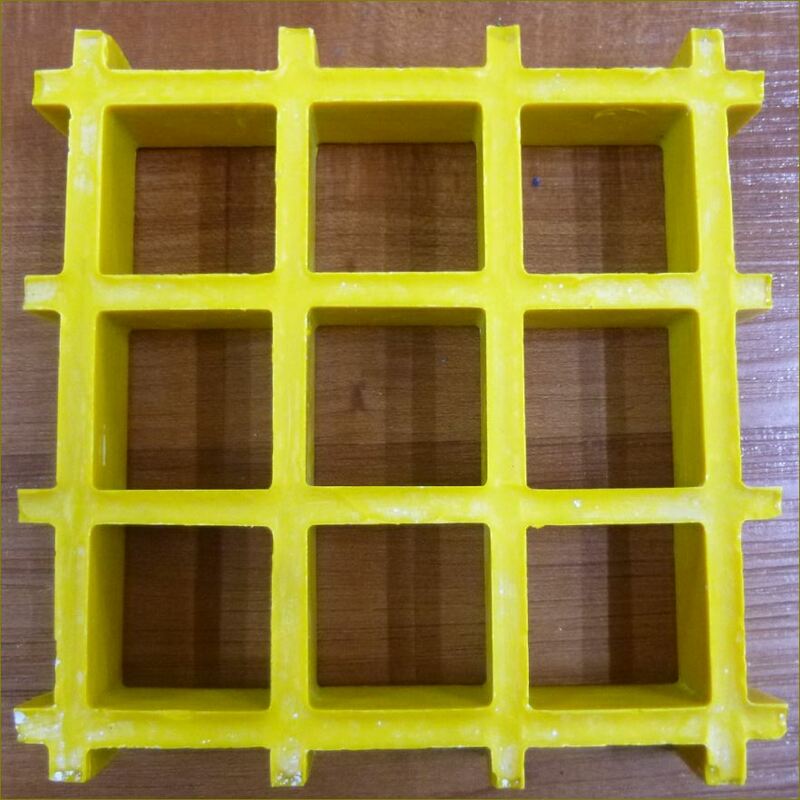 Both types of heavy duty fiberglass grating are designed to carry forklift and tractor-trailer loads that traditional molded and pultruded FRP grating products are not designed to support. 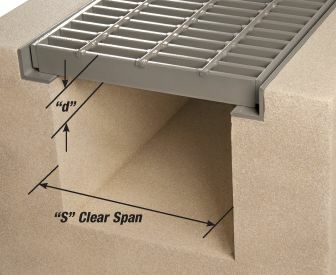 Heavy duty fiberglass grating provides greater durability for higher volume traffic areas as well. 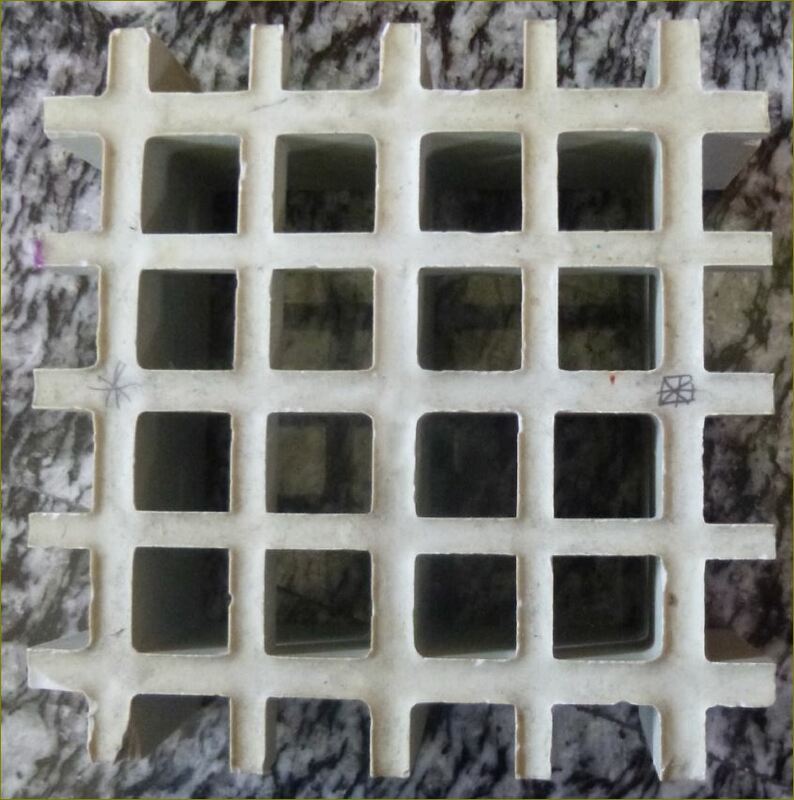 Additionally, Heavy Duty Fiberglass Grating can be used to free span longer distances than traditional fiberglass grating. Fiberglass Stair Treads and Fiberglass Stair Tread Covers Lightweight and easy to install, fiberglass stair treads are available in both molded and pultruded types to match the fiberglass floor grating platforms. Fiberglass stair tread covers are made from a molded glass and resin system that is corrosion and impact resistant, fire retardant and non-conductive. They provide a cost effective, slip-resistant protective surface for concrete, metal and wood steps. Fiberglass Grating Handrails and Fiberglass Ladders Fiberglass Grating Handrails and Fiberglass Ladders Fiberglass handrail systems are fabricated from pultruded fiberglass components and molded thermoplastic connectors. Our modular fiberglass grating handrail systems are available in 2-inch square or 2-inch round configurations that are easy to grip, making them ideal for any high traffic area. Our fiberglass ladders and cages can be installed in a variety of applications from sump pumps to tanks, buildings, piers, portable equipment, etc., providing years of strength and dependability. Fiberglass Attachments and Fiberglass Clips Our fiberglass grating attachments and clips are specially designed to secure fiberglass grating or plates to the supporting structures. Additionally, they are used to fasten together adjacent grating panels, which minimizes load-induced differential deflection. All fiberglass attachments and clips are made of Type 316 stainless steel and are available in 1-, 1-1/2- and 2-inch sizes. Fiberglass plates feature a non-conductive surface that makes them an economical and safe solution to walking surfaces. 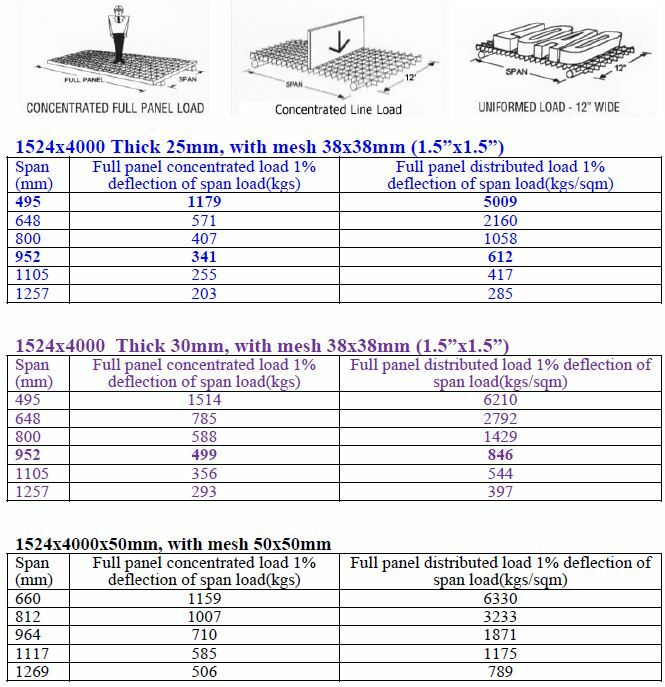 In caustic and/or acidic conditions, fiberglass plates provide a level of corrosion resistance that is unequaled and more cost effective than stainless steel. Fiberglass plate is available with a non-grit surface or with a grit surface where anti-slip traction is needed. Fiberglass Structural Shapes Our fiberglass structural shapes and pultruded fiberglass profiles are made from a combination of fiberglass and thermosetting resin systems. All shapes are lightweight, impact resistant, low maintenance, non-magnetic, low conductive and have dimensional stability, making them easy to install and ideal for several applications. Custom shapes are available upon request. 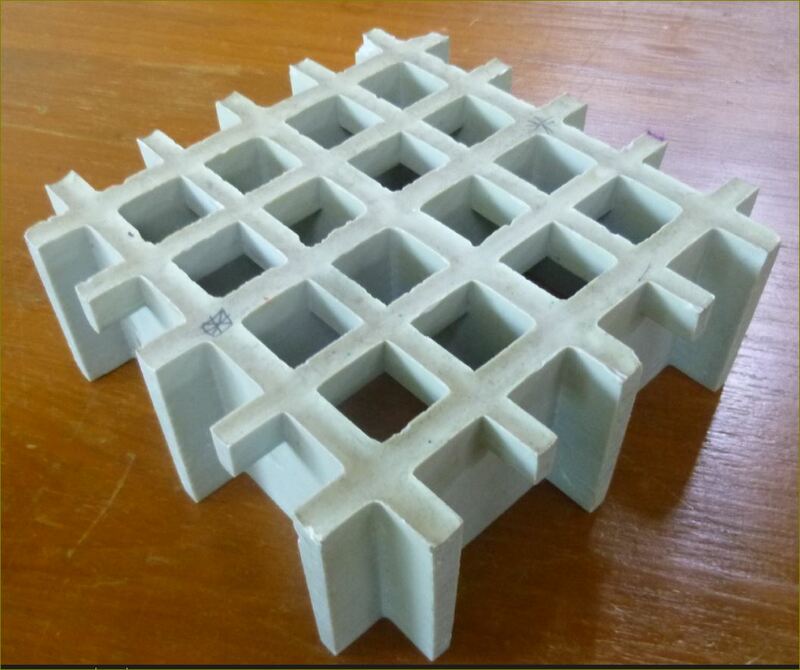 Composite (GFRP) Gratings : What is GFRP (Glass Fiber Reinforced Plastic)? GFRP is a composite material made of a polymer matrix reinforced with fiber, aiming to form better physical and chemical properties. GFRP is a production material such as metal, wood, glass, concrete. GFRP materials has important advantages as against other production materials, new features can be acquired according to requirements. What is GFRP Grating? Molded GFRP gratings are produced in special molds with wet lamination process, consist of glass fiber, resin, additives and pigment. After these raw materials harden, GFRP gratings are pressed out of the mold. Molded GFRP gratings are light, anti-corrosive, have high chemical and physical resistances and electrically non-conductive. Components: Resin, glass fiber, additives and pigment are the basic components of the GFRP materials. 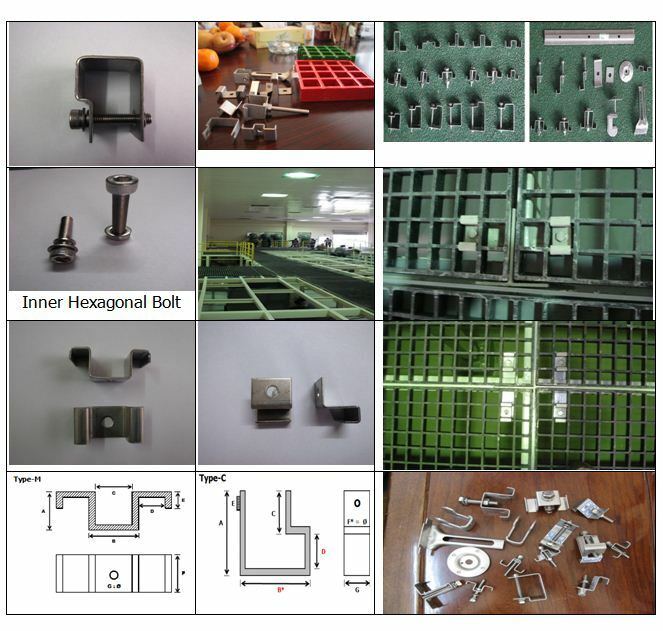 It can be produced any material which are proper for the requirements by changing these components. 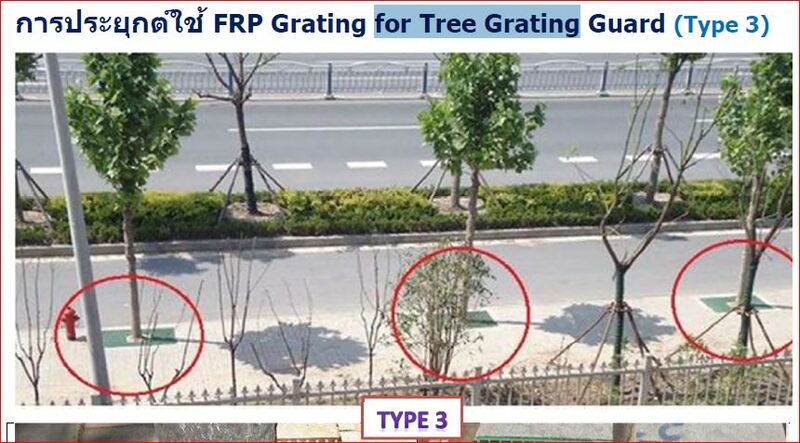 Resin: Chemical resistance, flexibility and UV resistance of the GFRP gratings are determined by the resin. Resins are chose according to the environment; orthophthalic resin for general usage, isophthalic resin for chemical environment and vinyl ester resin for extremely heavy chemical environment. Glass Fiber: Multi-layered continuous glass fibers are used in production. 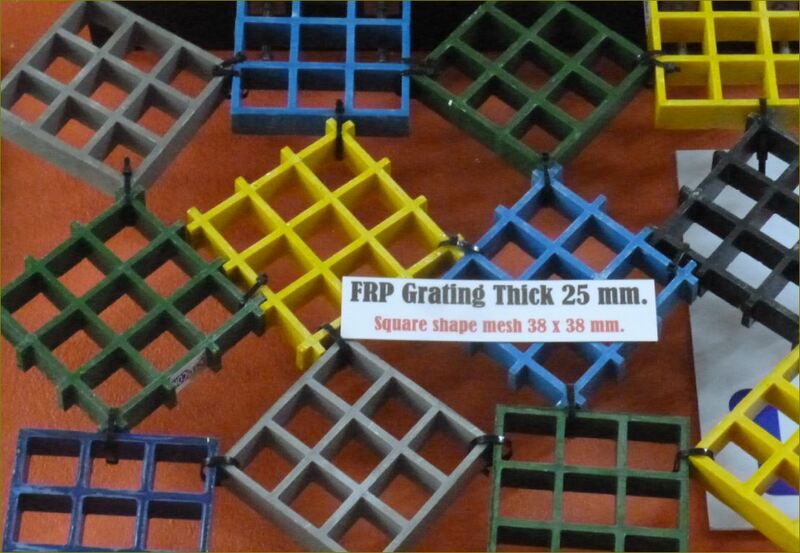 Molded GFRP gratings have high mechanical resistance due to glass fiber. Additives: Additives such as UV stabilizers, flame retardants and low smoke density retardants increase mechanical and chemical resistance and add new superior features. Pigment: Pigments make it possible to give the GFRP gratings any color. This makes it happen to use GFRP gratings in architectural projects. Fibreglass Grating ? Grating Pedestal Supports From time to time, FRP grating will need to be supported in walkway areas where using traditional support and framing methods either cannot be used or are unsuitable to the working environment. Areas, such as, Chemical bunds, Raised floor platforms & work stations, Chemical Treatment Dosing Plant Rooms, Raised non slip walkway access across drainage floors and work spaces, Suspended floor grating, cable ladder runs, concealing pipe work and electrical services underneath, Areas required to be non conductive. 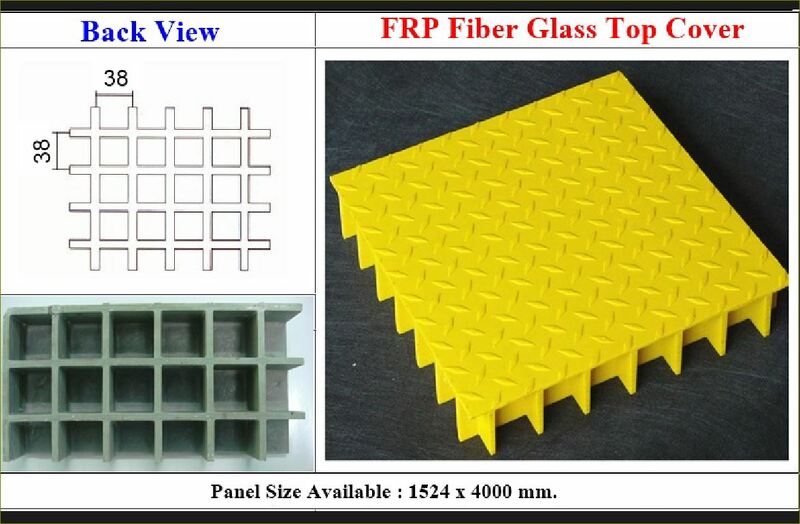 our FRPP pedestal supports that can raise our FRP floor grating, and link into the mesh pattern of our grating. The panels of our grating can be joined, on the one pedestal eliminating multiple pedestals in the same area. The wide based pedestals can be fixed to the floor if required, and also to the top of our grating, using our 316 s/s hold down clips to suit. This provides an extremely solid base, which can take high loads. Available in a range of heights, and completely adjustable to accommodate uneven floors, we can supply a pedestal to suit your application. Fiberglass stair treads and stair covers are an essential complement to molded and pultruded grating installations. These corrosion and slip resistant treads are manufactured with a defined visible nosing and provide safe footing in the most challenging environments. Stair treads and covers can be supplied cut to precise customer specified sizes or in stock panels that are easily field fabricated. stair tread covers are a convenient way to provide solid slip-resistant footing for existing treads that are still structurally sound. Stair tread covers may be installed over wood, concrete or metal treads. Standard industrial color is dark gray with a highly visible safety yellow nosing and light gray for architectural applications. 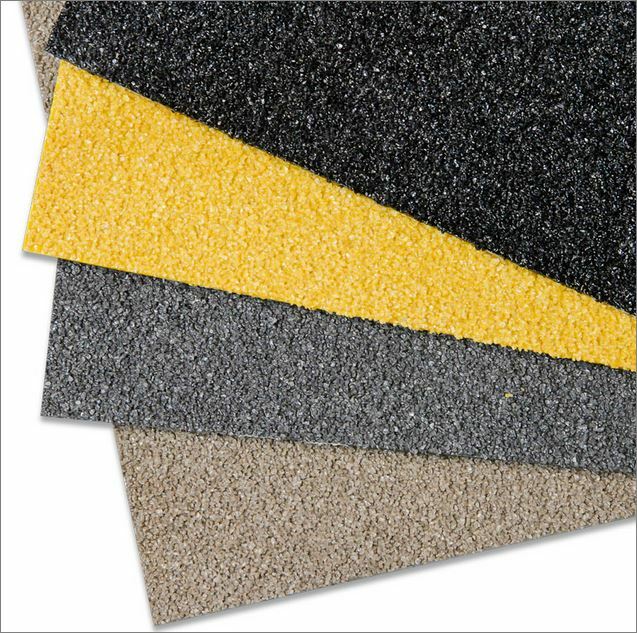 An integral aluminum oxide grit-top surface provides secure footing for maximum safety and a highly durable tread. Reinforced with a woven glass mat for durability and impact resistance, these tread covers come in made to order widths. The standard thickness is various thick covers available for heavy duty applications. Standard long panels are easily cut to size during installation, or are available precut to custom lengths. Phosphorescent Nosing :Fiber plate stair tread covers can be ordered with a special phosphorescent coating for the nosing area, causing it to glow even after the primary light source has been removed. The special nosing is perfect in stairways which serve as emergency exits during power outages, outdoor accessways where lighting is periodically dimmed as in arenas and concert halls or as a safety measure for nighttime operation in outdoor applications such as on passenger ships. This special nosing has been tested in accordance with ISO/TC Ships and Marine Technology - Low Location Lighting on Passenger Ships. Some superior features of TreadGrip are. Durability: TreadGrip is a high quality composite of glass woven matting impregnated with isophthalic polyester resin. The energy absorption and flexibility of TreadGrip. ensures its long life, even in the busiest of environments. Slip Resistant: A compound of carbon and silicon grit is added in the final layer of laminate providing a superb slip resistant and hard wearing surface. Corrosion Resistant: TreadGrip is resistant to a wide range of chemicals and is perfectly suited for use even in the harshest of environments. Chemical resistance guides available on request. Simple to install: The versatility of TreadGrip. allows it to be applied to almost any surface such as concrete, steel or wood. The fact that it is supplied as a finished product means that it can be walked on straight away thus keeping disruption to a minimum. supply FRP stair treads in both molded and pultruded grating profiles. Available in isopthalic, vinyl ester and phenolic fire retardant resin systems, to suit both industrial and domestic applications. Molded FRP stair treads come with a contrast nose edge as required by the Australian Standards for stairways to have a contrasting front edge (nosing) colour for ascending and descending stairs resulting in a safer stairway. Generally our stair treads colours are: Grey with yellow nosing. Other colours are available should you wish to match up with aesthetics and / or the environment. Available in our standard tread panels or we can cut to size, we welcome your enquiry. Our standard treads have an anti slip grit top surface, but we can also supply treads with a concave top which is also anti slip, but easy to clean, for example, for the food and beverage industry. 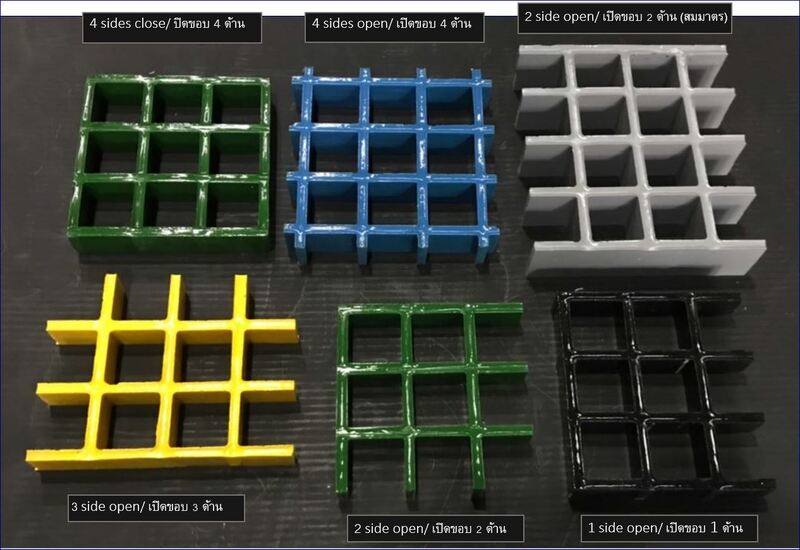 Our treads are secured to the angle supports underneath using our 316 s/s Type M hold down clips – you can see those in the molded grating index on the “Installation Accessories” page. If you own a building, run a business or manage a public space that has stairs then you are obliged to ensure that everyone using the stairs is safe. Anti Slip Stair Nosing is an excellent way to ensure that the stairs are as safe as possible. Anti Slip Stair Nosing can reduce the chances of accidents occurring dramatically. The leading edge of a stair can become slippery when wet and even internal stairs can become slippery during rain as people track the water inside. With high quality Edge Grip FRP Anti Slip Stair Nosing from Monaco you can make sure that the leading edge of the stairs are not slippery even in the wettest conditions. These anti slip stair nosings can be fitted in many different situations, including the following, public spaces, commercial areas and industries: Railway stations , Public squares and parks, Milking sheds,Industrial tank stairs,Industrial and commercial sites,Schools,Ski fields,Fire escapes, Oil rigs Ports Our Edge Grip FRP Anti Slip Stair Nosing comes in pre-formed robust fibreglass panels that are incredibly durable and the silicone carbon grit top finish provides a highly slip resistant surface. We offer two slip resistant surfaces, one light grit made for interior situations and the other heavier grit made for exterior uses. Edge Grip FRP Anti Slip Stair Nosing has a patented featheredge meaning that it can be fitted to virtually every type of step without creating a trip hazard making it the safest all-round Anti Slip Stair Nosing.